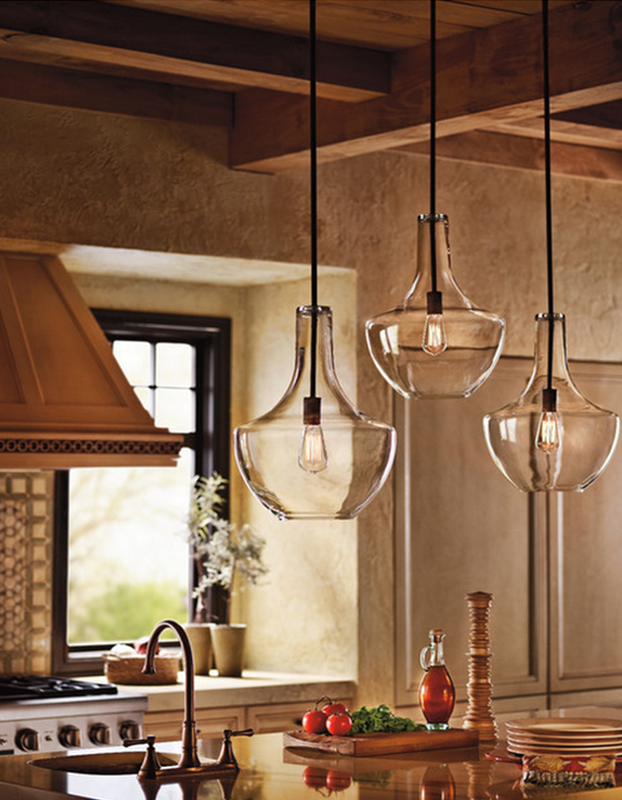 Why settle for blasé, run-of-the-mill pendant lights when you can have your pick of fresh and exciting fixtures to really bring your kitchen to life? 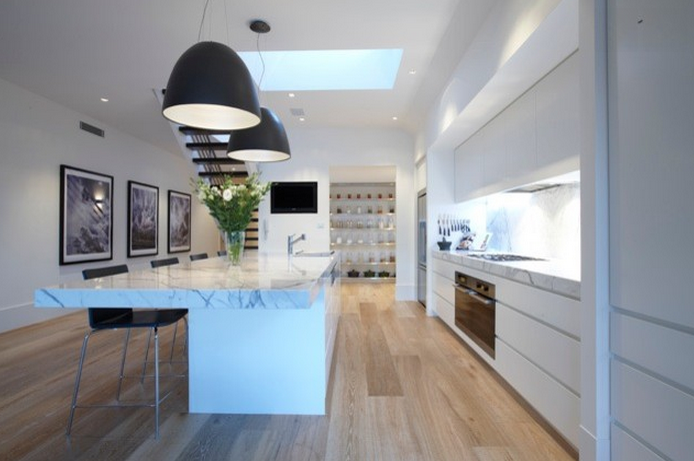 With islands becoming almost second nature to kitchen remodels, pendant lighting is also becoming equally important to the design process. These five types of pendant lighting can really bring style and flare to your kitchen and what would normally be a fairly monotonous environment. Liven up your island space with some of these pendant ideas. Colored pendants can be tricky. You want to use just the right pop of color without overdoing it and causing it to look tacky. 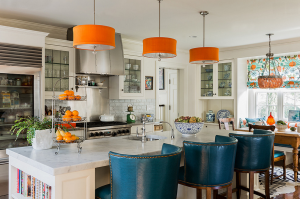 If you use a lot of whites or neutral colors in your kitchen, then colored pendants can be just what you need. Use them for an exotic edge on a normally traditional design idea. Clear glass pendants can do just the opposite. They add an elegant touch to an already busy kitchen area. They are also great for smaller spaced kitchens, as you can see through them, causing them not to block anything out of view. 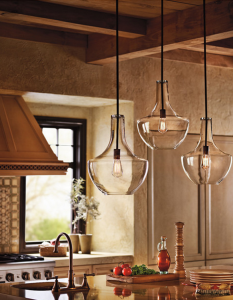 Hand-blown are going to be the best quality and will be sure to give a modern, yet stylish feel to your kitchen. 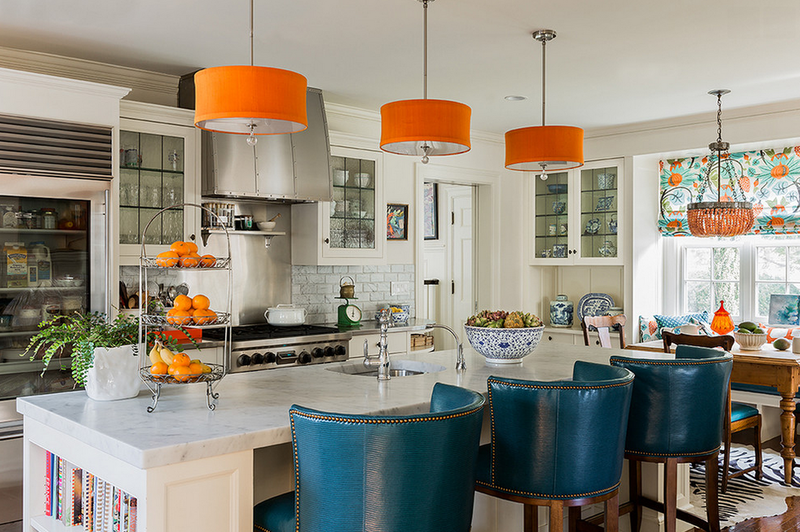 Going big on overhead pendants can be scary, but they definitely have a huge impact on a space. They can really liven up an otherwise minimalistic area. Oversized pendants can be perfect for the added touch and dramatic accent piece that you’re looking for in a wide-open kitchen. The appearance that they add is unlike anything you’ll see. If you’re looking for an edgy feel for your kitchen space, industrial pendants are the way to go. They have a rough quality to them that can really transform the island area. Go with stainless for a crisp, clean look or a rustic black version for a more serious approach. Either way, industrial pendants will give a sculptured finish to your kitchen vibe. 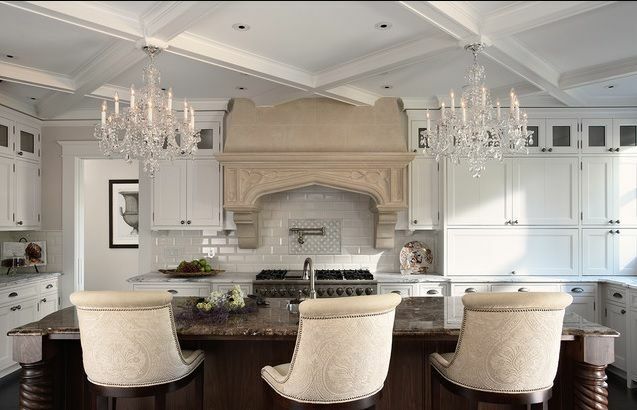 Chandeliers in a kitchen can be pretty unexpected, but that’s what makes them exciting. They are dramatic and really add life to a room. If you’re looking to soften up all of the hard lines and surfaces in your kitchen, then chandeliers are the right choice for you. They give your kitchen a glamorous touch and feel. The shine and sparkle can be very refreshing for your island décor.